Looking for Children's Book Week 2018? It's here! In Ideas for Children's Book Week 2017 I shared suggestions of whole class projects, discussion topics and learning resources that teachers and others might find useful when exploring the Children’s Book Week 2017 theme, Escape to Everywhere, with kids. 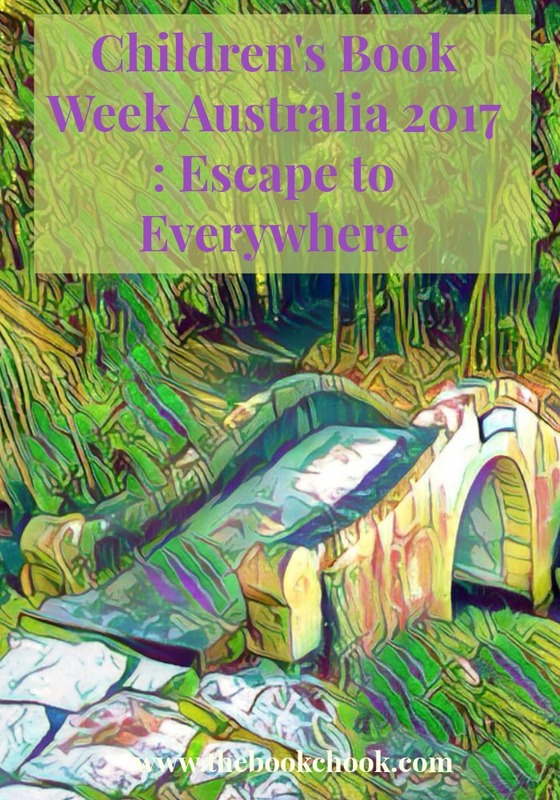 Today I have lots of prompts and suggestions for activities that could provide a spark for children and help them engage with books, learn, create, think, and have fun during Children’s Book Week 2017 in Australia. I hope all our children relish opportunities to escape to everywhere via books and their own imaginations. 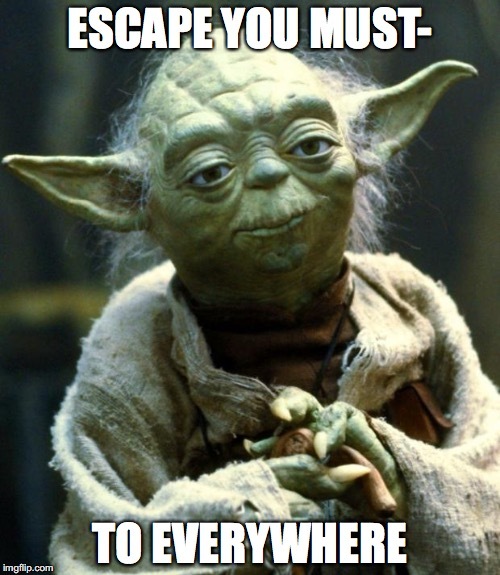 * Ask your teachers, classmates and parents which real or fictional world they would like to escape to. Choose the one that sounds the best to you and find out more about it. Design a way of telling other people about this world. You might decide to create a poster, a video advertisement or even build a 3D model of it. Take a photo of the person whose world you chose, and display their picture and the name of the world next to your creation. * An evil overlord has taken over your country, banning books and reading. How does that make you feel? What effect does it have on the population generally? What can you do about the problem? * Choose one book from the 2017 CBCA short list, read it and make a 60 second video, reflecting on it. OR Create a short video about your favourite book for kids. * Imagine a place that you need to escape from. Draw it in an app, or with paper and markers. Or describe it orally or in writing. 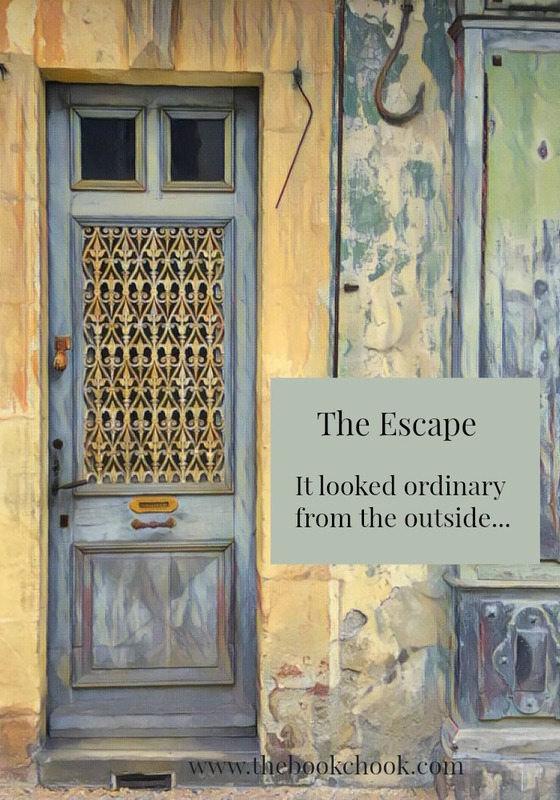 By chance, you find a way to escape, via a book/books. How do you feel? What happens next? * Design a bridge that will be someone’s escape to somewhere. Write a list of all the materials you could possibly build the bridge from, then choose three materials only from which to create your bridge. The bridge must be able to take the weight of some kind of vehicle. so that it can cross to safety on the other side. 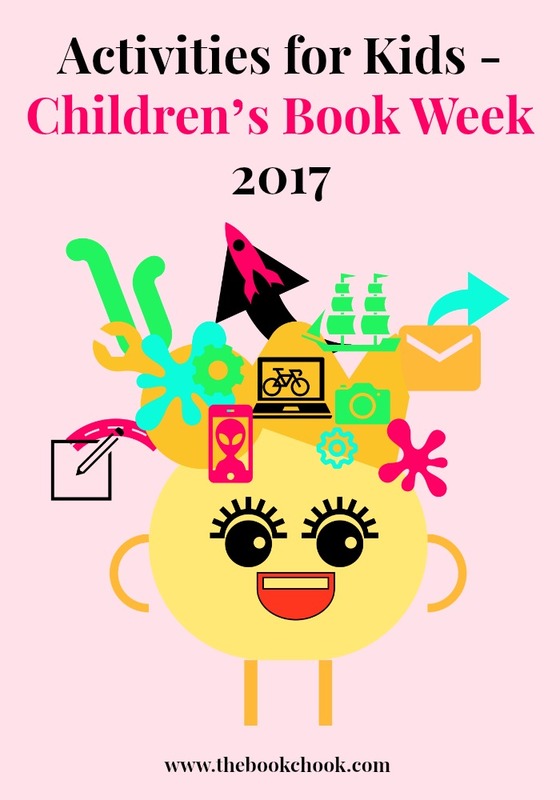 * Create a poster about Children’s Book Week 2017. You might decide to feature some kind of thing which can travel, and take you to many different places, both real and imaginary. What message do you want to convey via your poster? Who do you think should take that message away from your poster? Where could you put your poster to reach your chosen audience? * Construct a sign post for your library that features as many different fictional places as you can think of. You could consider places like Hogwarts, Sherwood Forest, The Hundred Acre Wood, and Deltora. How many of the books about these places have you read? Which books would you like to read? * Create your own bookmark for Children's Book Week 2017. If you're short on time, I have a free PDF with bookmarks to print, cut out and decorate at my website. * Find some books that have maps of fictional worlds. You could try The Hobbit, the Narnia books, or the How to Train Your Dragon books, or use some ideas from this Pinterest page. Choose one/some of these as a model to create a map of a fictional world you invent. * Draw and label the tree house you would like to live in some day. Include some kind of escape hatch so you can grab a magical book and get away if you need to. Write out directions for using the escape hatch. * Choose your favourite scene from a short-listed or other book for kids and re-create it in LEGOs. * Visit Storybird and find an illustration collection that suggests a story about escaping to you. Go ahead and create a storybird about your idea. * Create a 3D prototype out of play-dough or clay of an escape device. * Make your own custom pulp magazine cover about escaping to everywhere. List some articles and story titles people might expect to find in your magazine. * Which famous real or fictional people have escaped from somewhere or something? Choose one to find out more about and collaboratively present your information with some classmates. You might consider Zorro, Doctor Who, Bilbo Baggins, Harry Potter, Aslan, Harry Houdini, the children in The Silver Sword, Rapunzel, the Three Little Pigs, or Hansel and Gretel. * There are lots of different worlds available at Creaza’s Cartoonist. You could use it to create a cartoon set in your favourite world. Here’s a tutorial if you’re not sure what to do. Once you register with a grown-up’s help, you can get started in telling your own digital story, using art work supplied by Creaza. Of course, you could also make your own cartoon or graphic novel with pen and paper. * Dress as a character from one of the short-listed books. Present your character’s ideas about an issue from that book. Ask someone to record your presentation. * Choose a shortlisted book, or your favourite book, and decide on its theme. Design a game based on that theme. * Create a clue with emojis for the title of a short-listed book, or a book of your choice. * Vote on your class’s favourite book. Improvise words and actions about one scene from that book, to bring it to life for an audience of your choice. * Explain to someone about the benefits of reading, or explain to young kids how reading can help them escape to everywhere. * Choose all your favourite shortlisted book covers and make them into a collage. Now make a collage of all the shortlisted books you have read. * Think about a character you would like to escape from. Create a picture of that character - if you’re using paper, take a photo of your picture/structure so you get a digital version. Use a video/audio app like YakiT Kids or Shadow Puppet to bring your character image to life. * Just suppose you went to visit a relative and decided to explore their house. 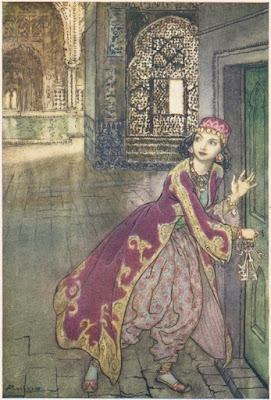 When you enter a room, you notice a tiny door down low near the floor. Where does it lead? Will you go through? What happens next? * Build a cubby in your classroom, playground or bedroom that you can escape to and read. * Design an advertising campaign to tell others about, and persuade them to buy, one of the short-listed books. You might include posters or full page magazine ads, radio and TV ads, banners and stickers or other ideas. 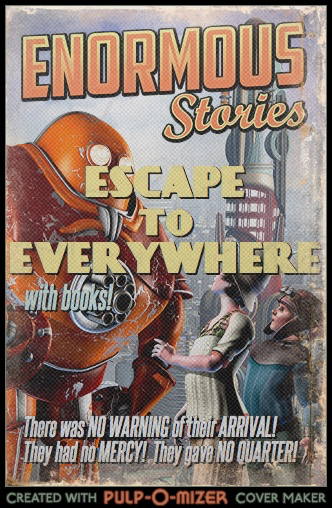 * Through books you can even escape to the future or the past. What books do you know that are set in different times than nowadays? * We can escape to everywhere via books, but what do books get up to when we are not around? Create your response to this idea however you choose. For instance, you could make an animation, a diorama, or create a book character by adding face, hands and feet to a book and use this character in a video or a picture book. Here’s a video that shows books “moving”. 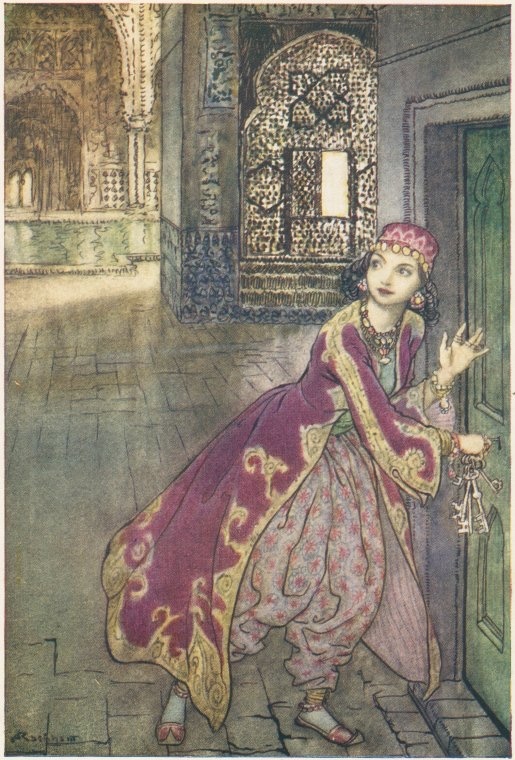 * Here’s a very old illustration of someone who looks like they’re escaping. Can you imagine what has happened and what might happen next? You might find other useful ideas in my earlier posts about Children’s Book Week, embedded below. Hope you can use some of the ideas, Unknown! Wow - what great activities Susan. Thanks for sharing so many great ideas!